Exit at Exposition Blvd and 37th Street. Follow the signs to Exposition Blvd., circling left under the freeway. 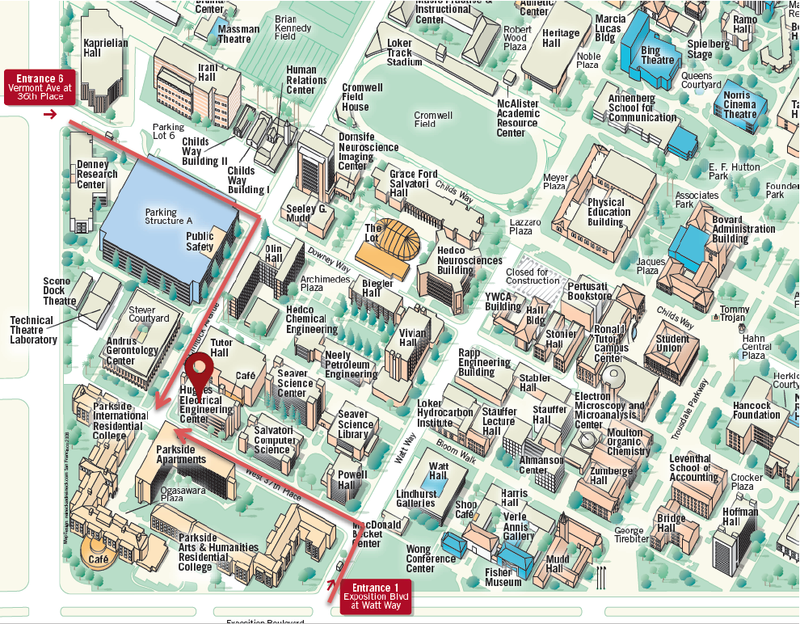 The USC campus will be ahead on your right. Go west on Exposition to USC Watt Way (Gate 1). Exit at Exposition Blvd. Turn right at the light onto Exposition Blvd. 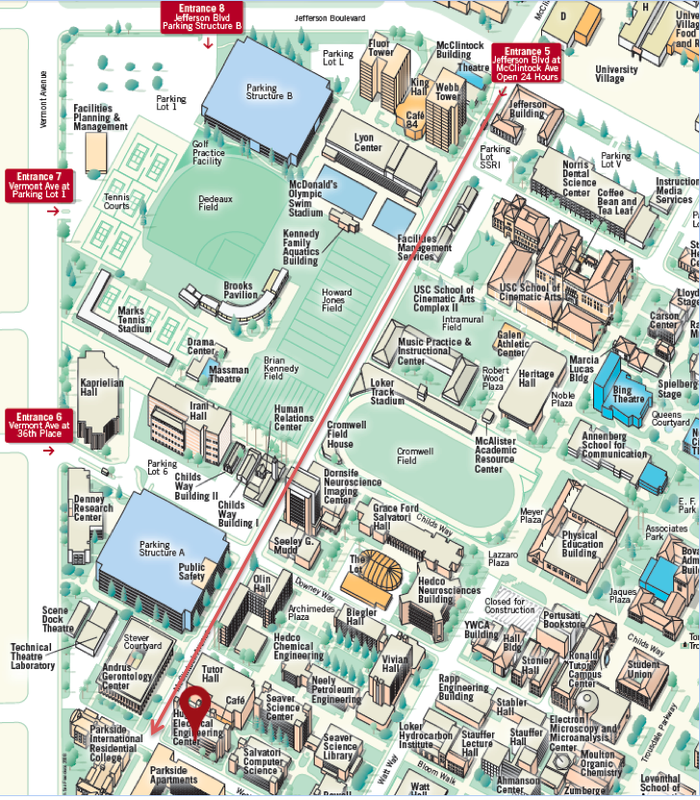 The USC campus will be ahead on your right. Go west on Exposition to USC Watt Way (Gate 1). Exit at Vermont Avenue. Turn right (south) at the light and follow Vermont to 36th Place (Gate 6). Exit at Vermont Avenue. Turn left (south) at the light and follow Vermont to 36th Place (Gate 6).